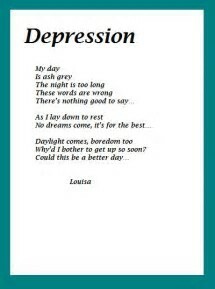 How many of you suffer from Depression? I know I do and for me, it’s an everyday battle to overcome. Some days I’m happy, cheery and other days I’m lost and feeling alone. Well, depression has NOTHING to do with me loving or caring for my family! It has to do with me; with who I am, who I think I’m not, who I wish I was, but everyone knows what I am… Or with the I wish; wish “I could have, should have, but I didn’t do?”. 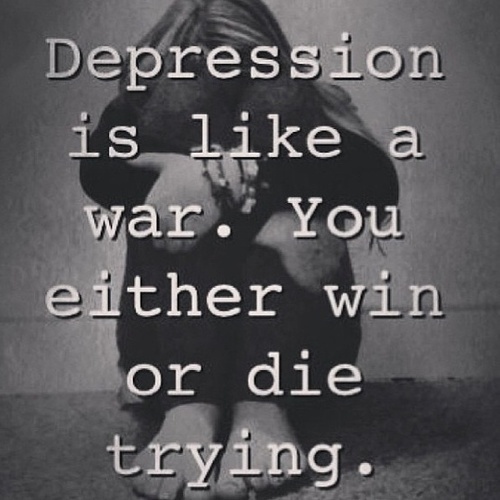 Depression has to do with; unresolved issues, deep unresolved emotions, self-esteem, life’s struggles, loss of job, loss of a loved one, physical, mental trauma, peer pressure, so many things can cause Depression and affect you and your family. When you feel like your lost in your own “world”. When you feel like something is missing. When you’re just mentally, physically drained. When your body hurts all over and nothing you do, is able to take the pain away. Feeling the knot in your throat, the pain in your chest and no matter how hard you try, the pain won’t go away. When you just want to be left alone and sleep, sleep to never wake up. When your feeling sad and you don’t know why. When you feel hopeless and worthless. When you lost interest in things, you use to love to do. I was one who was judged by my family (Mom, brothers, friends) and had it NOT been for the support of my husband and my kids and my Doctor, who as soon as they noticed the warning signs, they said: “Your pains are not from medical issues, your pains are symptoms of depression, go seek help! So, I did – I went and saw a Counselor, who till this day has helped me with my day-to-day struggles, with the loss of my father (who did of stage 4 Brain Cancer), who has helped me overcome certain barriers. It’s been 1 year since my “meltdown” and I thank God every day for having the love and support of my husband and kids; otherwise, God only knows what would have happened with me. If you are like me who has been suffering from Depression, don’t worry there’s help! And there’s hope! You can get through this! Life is to Short and Beautiful to Give up! Family and Depression how it affects you and your family…remember your NOT ALONE – There’s Help! Don’t Wait! Don’t Feel Ashamed! Don’t Let this Illness Take Over You! You can Beat It!